This Demonstration uses the map attributed to Ikeda: , with . An orbit of iterates of the map is plotted using the locator object as the initial point. 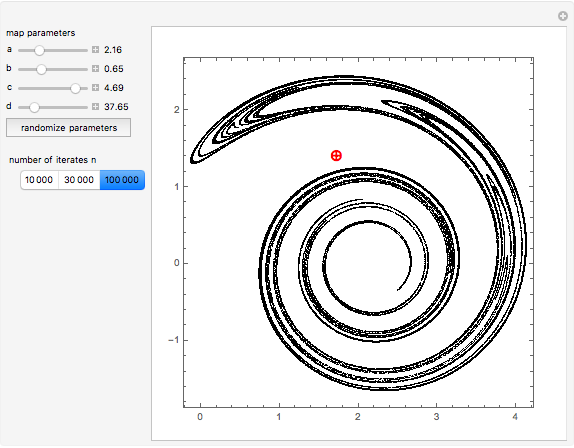 Dragging the locator or clicking for a new initial point shows almost no change: all orbits converge to the same attractor. 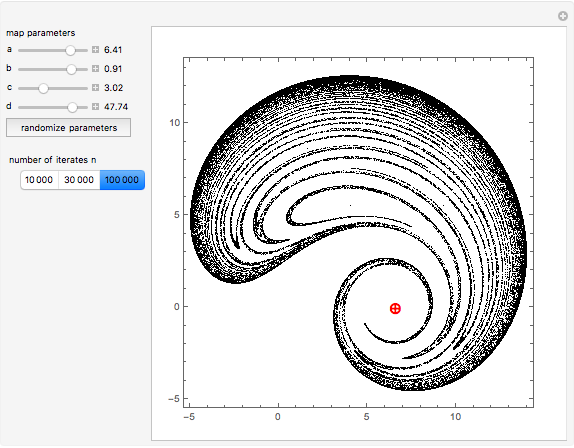 The map parameters , , , and can be chosen using the sliders or a random set can be launched, generating a new attractor. 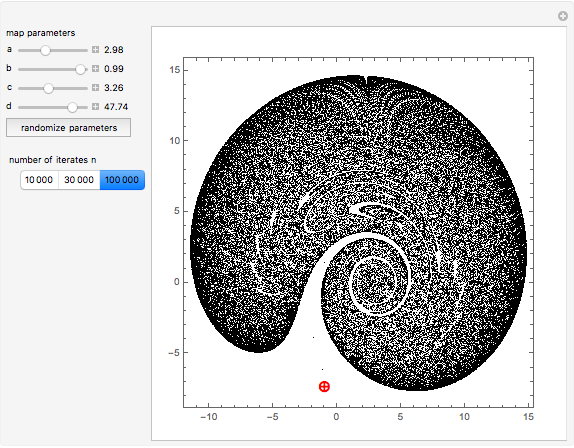 The Ikeda map function is taken from Chaotic Modeling and Simulation by C. Skiadas.